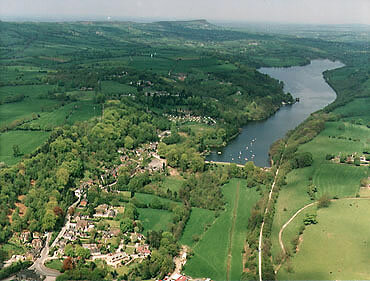 Situated close to the head of the River Churnet in North Staffordshire and on the southern uplands of the Pennines, Leek is built on the slopes and crown of a hill surrounded by some of the finest hill, moor and dale scenery to be found in this part of the North Midlands. 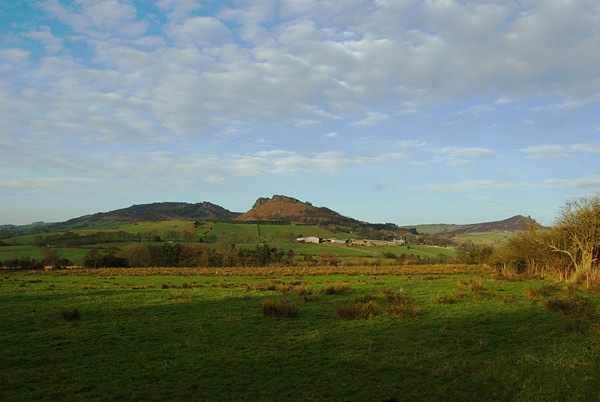 Much of the town stands at or over the 600 ft. contour and it is close, on the north and east sides, to the even higher country that is now within the Peak District National Park. 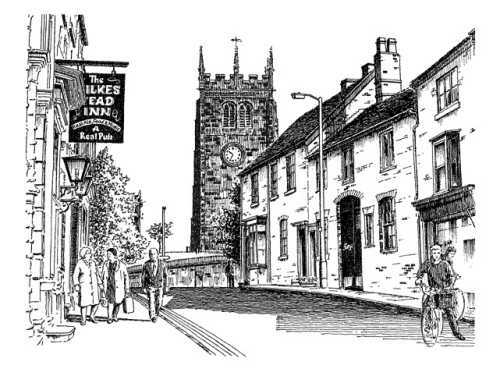 Leek has long been linked with the textile industry but, in recent times, has seen silk replaced by man-made fibres although links with the original industry are retained through the dyeing and finishing trade. The town has a conventional shopping centre that includes a new pedestrianised area and on Wednesday there is a traditional open market. Recreational facilities include many parks and open spaces, including tennis and squash courts, swimming pool, gym, two golf courses, bowling greens, running track, cricket and football pitches. The Nicholson Institute houses an admirable museum and art gallery in addition to a well-stocked county library. 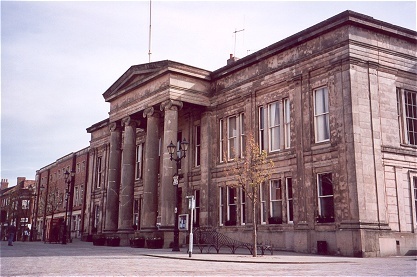 Often described glowingly as the 'Queen of the Moorlands', Leek is now the administrative centre for the Staffordshire Moorlands District Council although it has its own town council to look after local matters. 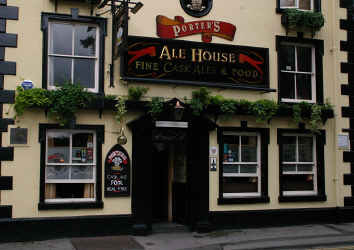 It has had a lengthy history and retains a number of old and interesting buildings. It retains, too, its essential character as a market town serving a wide area although it grows in importance as a residential area. Numerous bus services link it with the rest of Staffordshire and much of nearby Derbyshire, Cheshire and Manchester. Buxton the Cultural Capital of the Peak District. 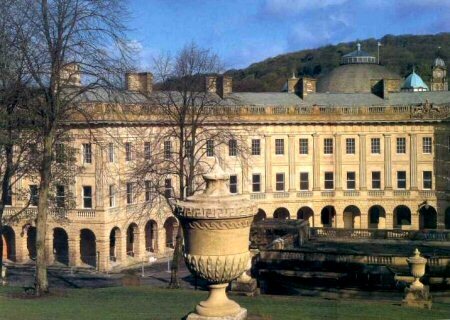 As a Spa Town, Buxton has been a popular holiday resort for centuries. Based at the heart of the Peak District in the county of Derbyshire, Buxton is blessed with stunning scenery, magnificent architecture, a wealth of shops, and a thriving arts scene. 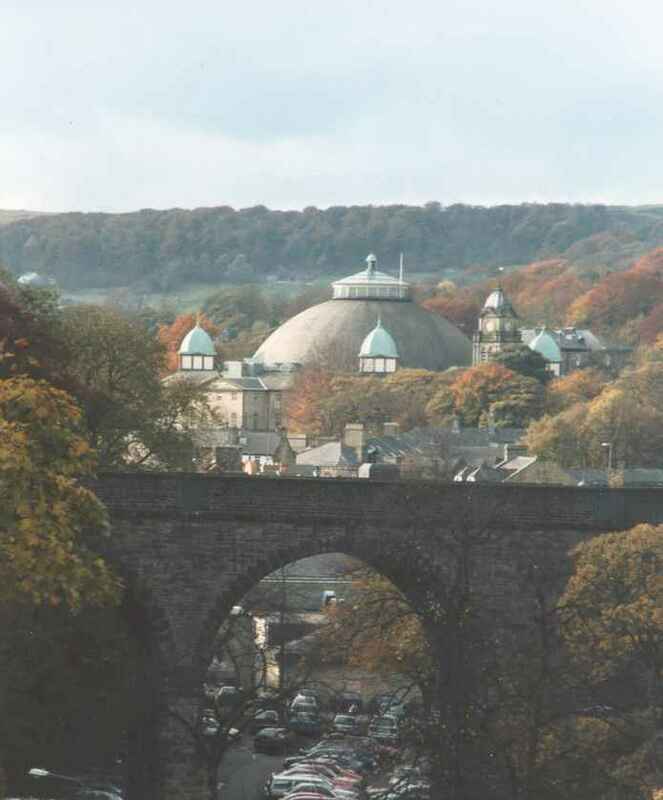 Together with its world-famous spa water, Buxton has plenty to offer any visitor. Venture deep underground at Pooles Cavern and discover some of Buxton’s darker secrets. Fancy yourself as Tarzan, swinging through the trees in the country park on the Go Ape extravaganza high above the forest floor? Go on! Get an adrenalin buzz! Like our Victorian forbears, promenade along Broad Walk and around the Pavilion Gardens and Serpentine Walk, before taking tea in the Pavilion. Learn a little more about the town and view the art exhibitions at the museum before venturing into the giant Dome, with it's echo. And for something a bit special, try the Devonshire Spa treatment. The great pride of Buxton is also to be found in its architecture. From the Georgian splendor of the Crescent and former stable block through the Victorian magnificence of the Palace Hotel, to examples of fine Northern Arts and Crafts, step back into a world of inspired design. 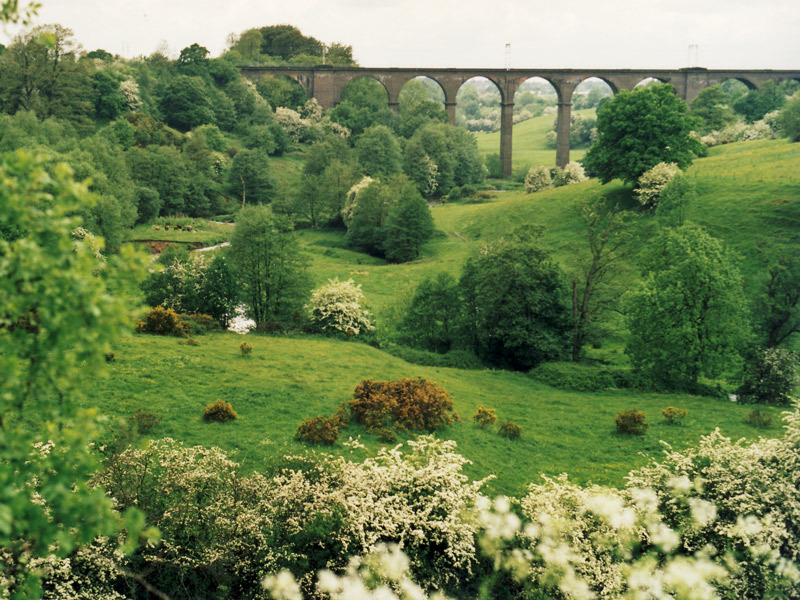 Pick up a copy of the Buxton history trail from the Tourist Information Office and let your imagination run free. 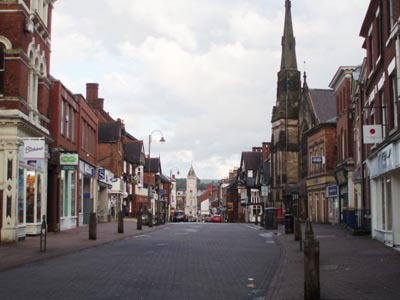 Enjoy the stylish shops and restaurants of Knutsford, Alderley Edge, Prestbury and Wilmslow. Pamper yourself and enjoy the luxury of spa hotels, country houses and golf resorts. Head into the Cheshire Peak District for fabulous walking and cycling adventures and panoramic views, staying in top quality farmhouse B&B's and cottages, discovering great gastro-pubs and cosy country inns. 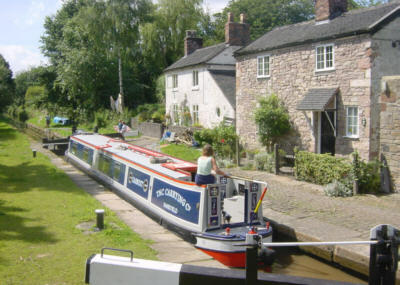 Discover the silk heritage in the handsome market town of Macclesfield or cruise along the Macclesfield Canal on its route to the mill village of Bollington and on to Poynton, home of the Anson Engine Museum. 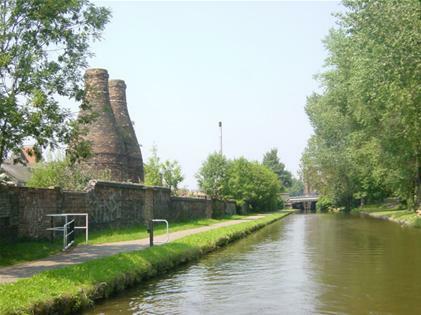 Find out about the East Cheshire Textile Triangle, packed with great ideas for group visits. Relax in award-winning gardens at Arley Hall, Tatton Park and Hare Hill. Explore the East Cheshire Textile Triangle. Marvel at iconic attractions such as Lyme Hall on the edge of the Peak District in Disley, the giant waterwheel at Quarry Bank Mill, Styal, and the huge radio telescope at Jodrell Bank, the most distinctive landmark of the Cheshire Plain. The City boasts the internationally acclaimed Wedgwood Visitor Centre and its nearly opened £10 million Wedgwood Museum. Offering craft demonstrations, factory tour, stunning museum collections, shopping opportunities and restaurant. Several other factories such as Moorcroft and Burleigh also offer factory tours and with over 30 pottery factory shops to choose from including the world renowned brands of Royal Doulton, Portmeirion, Aynsley, Spode and Churchill there is so much to see and do. No visit would be complete without a look at one of the City’s ceramic museums. 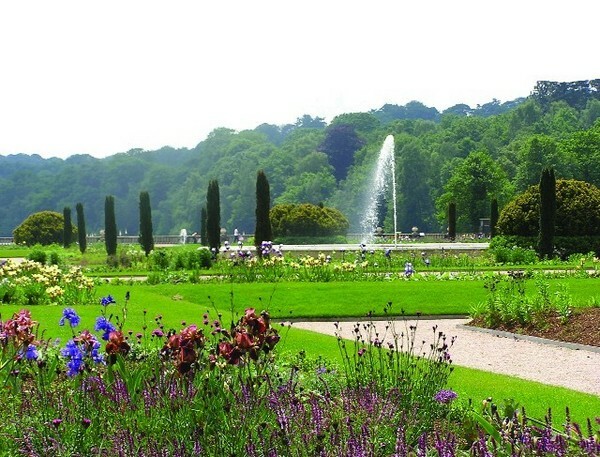 Visit the Trentham Estate; One of the most important historic gardens in Britain, which along with the Barefoot Walk and Adventure Trail, make it ideal for everyone. There's the Monkey Forest, Aerial Extreme, Shopping Village and Garden Centre. 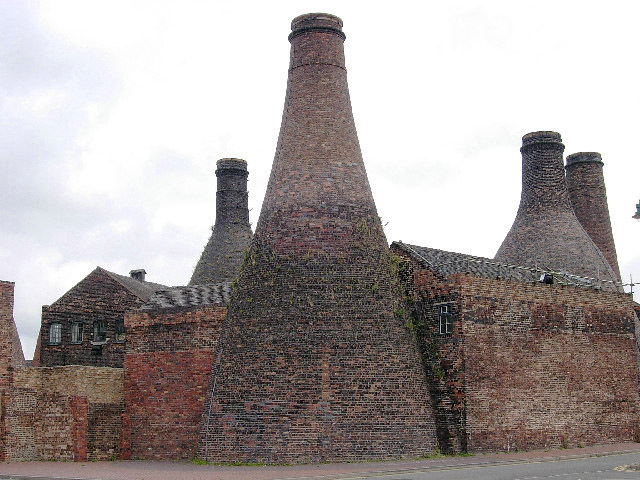 Stoke-on-Trent plays host to some of the worlds finest attractions, visitor centres, museums, gardens and nightlife. Offering fun and activity all day and all night for all ages. 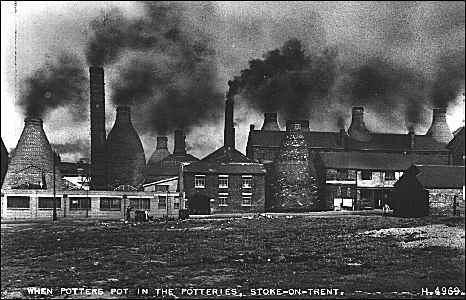 The Gladstone Potterey Museum is the only complete Victorian pottery factory with original workshops, bottle ovens, tile gallery, Doctor's House and Flushed with Pride - the story of the toilet, gift shop and cafe.